Castel Gandolfo is a small town in the Lazio region with a population of about 7,000 people. Mostly known by travelers for the Pope’s summer estate. 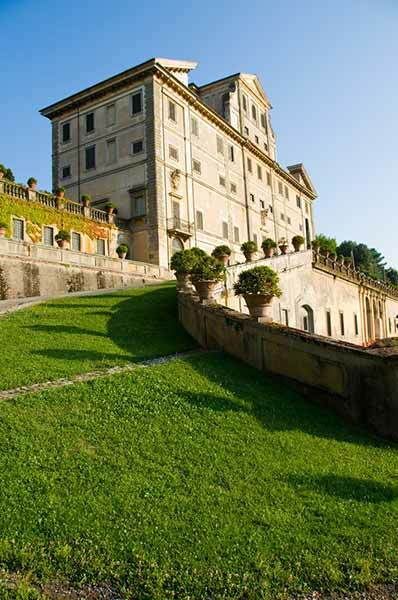 The getaway residence of the Pope from the Vatican city in Rome. A beautiful villa overlooking the lake from above which can be visited in the summertime. 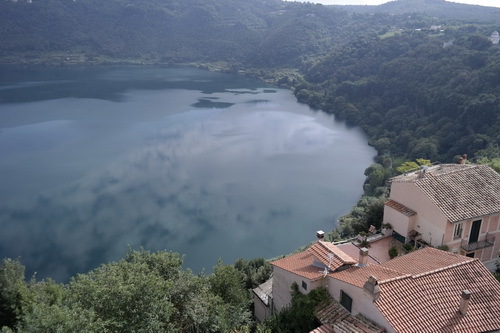 The views of the Castel Gandolfo lake are breathtaking especially on a drive down to the water level for a refreshing jump in the lake! The town of Frascati is considered the heart of the Castelli Romani. The town existed from the Roman times and since then it has been used as a summer retreat for the Roman nobility from the city of Rome. The roman estates later became beautiful Baroque villas. 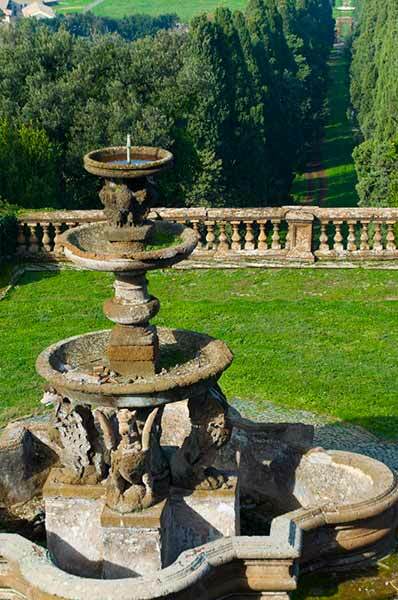 Immersed in a picturesque Italian landscape overlooking vineyards which produce the famous Italian Frascati wine. 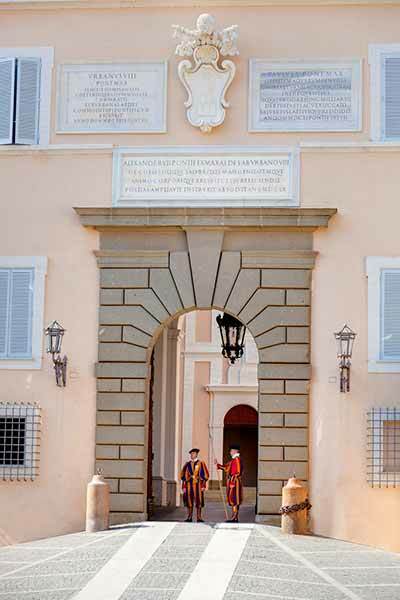 Today Frascati is a quiet and peaceful town at the gates of Rome. Nemi is a beautiful hill town located within the Castelli Romani area. It overlooks a peaceful volcanic lake from above. 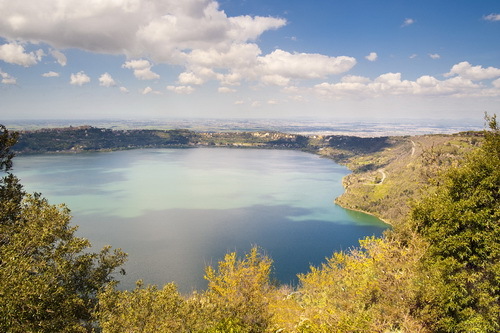 Of smaller dimensions with respect to the nearby Castel Gandolfo lake. A walk in the town is a very pleasant experience. The town is known for its small strawberries which are typical of the area. A great local topping on your summer ice cream. The moon reflected over the lake surface makes for a great romantic dinner! Grottaferrata is a very small and quiet town near Frascati. A quiet residential area with a scenic city center. Great for a stroll and a coffee break with some really good coffee. Or for a typical lunch stop at a local trattoria. At the end of the main strip you may find the Italo Greek Abbey of San Nilo. A must visit church of ancient origins. With impressive paintings and fresco. This visit alone is enough to justify a stop in Grottaferrata! Frascati Wine Tour. Include a 2 hr Wine Farm Tour of the Local Wineries. 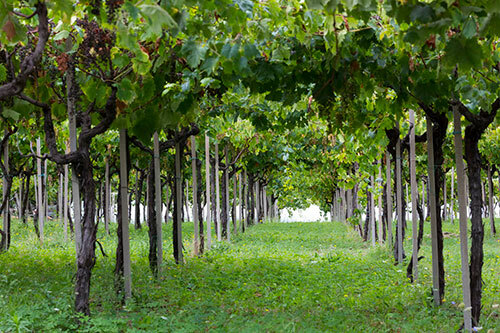 Walk the vineyards and the beautiful Italian countryside. Then step inside to taste the local wines and products. Learn about the history and culture through the grapes! With less than an hour drive from Rome. Castel Romano and Valmontone outlets. With the closet one being Valmontone. 85 Km approx. 50 miles one way. The best day of the trip. After extensively visiting Rome a Tour out to the Castelli Romani area was a beautiful breath of fresh Italian countryside air. Headed south of Rome with a 45 min drive. Out into the Italian countryside and the Castelli Romani area. In a truly off the beaten track tour. And get a good sense of the land and the culture behind typical Italian wine making. Stroll the alleyways. Taste local products. Visit ancient churches and cathedrals. Enjoy the beautiful scenery from a far or get right close to it and go swimming!